If heavy periods have been keeping you from enjoying your life to the fullest, you should know about NovaSure endometrial ablation. 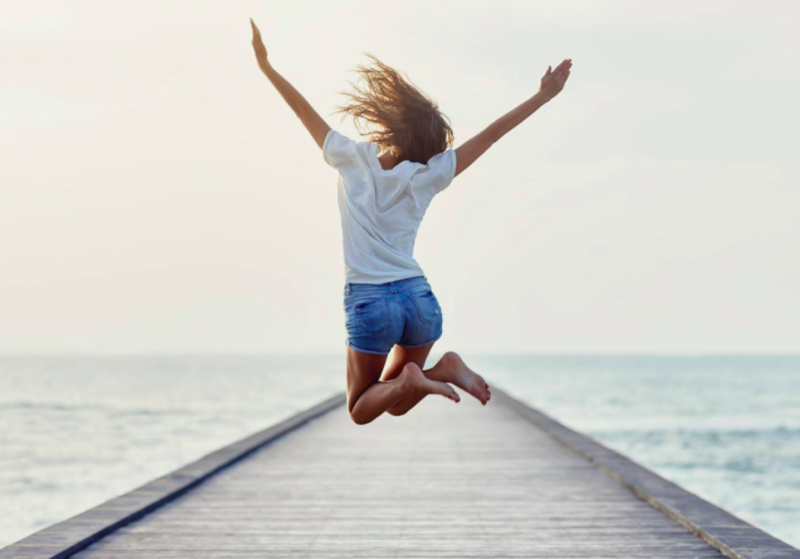 NovaSure is the safe, simple procedure that’s been proven to help control heavy menstrual bleeding (menorrhagia) without any need for hormones or a hysterectomy. NovaSure can help put an end to the embarrassment and awkwardness that heavy bleeding can cause. This sheet will provide answers to some commonly asked questions about heavy menstrual bleeding and NovaSure. Be sure to ask your doctor if NovaSure is right for you. And you are not alone. About 1 in 5 women experiences unusually heavy menstrual bleeding. And there are now more treatment options available to you. Hormone therapy consists of oral contraceptives or other medications that treat hormonal imbalances. This therapy is effective only 48% of the time, and usually must be continued in order to remain effective. Some women experience undesirable side effects, including headaches, weight change, and nausea. Dilation and Curettage (D&C) is a surgical procedure that involves scraping the inside of the uterus. However, for the majority of women with menorrhagia, it’s only a temporary solution that reduces bleeding for a few cycles. Endometrial Ablation may be your doctor’s recommended treatment if you do not plan to have children in the future. Several methods of this minimally invasive surgical treatment are currently available. Conventional endometrial ablation removes the lining of the uterus with an electrosurgical tool or laser. Risks include perforation of the uterus, bleeding, infection, or even heart failure due to fluids used to open up or distend the uterus. A new generation of endometrial ablation devices is now available. Some devices remove the endometrium by using heated fluid, others use freezing temperatures to remove the tissue. NovaSure uses a precisely controlled dose of energy. Hysterectomy or surgical removal of the uterus, is the only definitive treatment for menorrhagia. Hysterectomy is a major procedure, performed in the hospital under general anesthesia, and is accompanied by surgical risks, hospitalization, and depending on the technique used, a recovery period of up to six weeks. NovaSure is an endometrial ablation procedure that provides an effective and minimally invasive outpatient alternative to hysterectomy, white avoiding the potential side effects and long-term risks of hormone therapy. NovaSure delivers precisely measured electrical energy via a slender, handheld wand to remove the endometrial lining. This quick, simple procedure requires no incisions. It can be performed in an office or outpatient setting, and generally takes less than five minutes, significantly less time than any other endometrial ablation procedure. What are the benefits of NovaSure? NovaSure offers a treatment that is quick, simple, safe, and requires no endometrial pre-treatment. Before other endometrial ablation procedures, women often need to take a pre-treatment drug such as Lupron Depot for as long as two months to thin the lining of the uterus. NovaSure eliminates the cost, potential side effects, and delays in treatment commonly associated with endometrial pre-treatment. NovaSure is also more convenient because it can be performed at any time during your cycle, even during your period. What can I expect from NovaSure? Most women see a significant reduction in their level of menstrual bleeding. In a randomized, controlled clinical study of NovaSure, a majority of patients returning for follow-up at 12 months had their bleeding reduced to light or moderate periods, and many reported that their bleeding had stopped completely. Many women may also experience the added benefits of a significant reduction in painful menstruation (dysmenorrhea) , as well as a meaningful reduction in PMS symptoms. After slightly dilating your cervix and inserting a slender wand, your doctor will extend a triangular mesh device into your uterus. The mesh device gently expands, conforming to the dimensions of your uterine cavity. Safe electrical energy is delivered through the mesh for approximately 90 seconds. The mesh device is retracted back into the wand and both are removed from your uterus. No part of the medical device remains inside your body after this safe and simple procedure. Am I a Candidate for the NovaSure Procedure? Many doctors choose for their patients to be awake during the procedure, as NovaSure does not require general anesthesia. If your physician performs the procedure with a local anesthetic injected in and around the cervix, he or she may administer an intravenous sedative to make you more comfortable during the procedure. While some women may feel slight cramping, others may not experience any discomfort at all. As with any endometrial ablation method, you may experience some post-operative uterine cramping and discomfort shortly after the procedure. Some patients may experience nausea and vomiting as a result of anesthesia. Watery and/or bloody discharge is also common for several weeks after any endometrial ablation. Are there any anticipated post-procedure complications? You should call your physician if you develop a fever higher than 100.4° F, worsening pelvic pain that is not relieved by ibuprofen or other prescribed medication, nausea, vomiting, shortness of breath, dizziness, bowel or bladder problems, and/or a greenish vaginal discharge. Are women satisfied with the results of NovaSure? Excellent results have led to very high satisfaction rates among patients treated with NovaSure. According to results of a patient satisfaction survey, over 92% of patients treated with NovaSure were satisfied or very satisfied with the procedure 12 months after treatment, and 95% indicated that they would recommend NovaSure to a friend. Are there any risks associated with NovaSure? Your physician will explain the surgical risks of all treatment options in detail. Some risks of endometrial ablation procedures are perforation of the uterus, bleeding, infection, injury to organs within the abdomen and pelvis, and accumulation of blood within the uterus due to scarring. A possible hazard may exist for women with cardiac pacemakers or other active implants. Another rare, but important, risk of any endometrial ablation procedure is that it may decrease your doctor’s ability to make an early diagnosis of cancer of the endometrium. The reason for this is that one of the warning signs of endometrial cancer is bleeding, and endometrial ablation procedures decrease or eliminate bleeding. Can I still become pregnant after endometrial ablation? It is important to know that although the chances for pregnancy are reduced following an endometrial ablation procedure, it is still possible to become pregnant.However, pregnancy following endometrial ablation is very dangerous for both the mother and the fetus. You should not have an endometrial ablation if you think you want to have a baby in the future. After an endometrial ablation, you should use some form of birth control. Please discuss these issues with your physician.